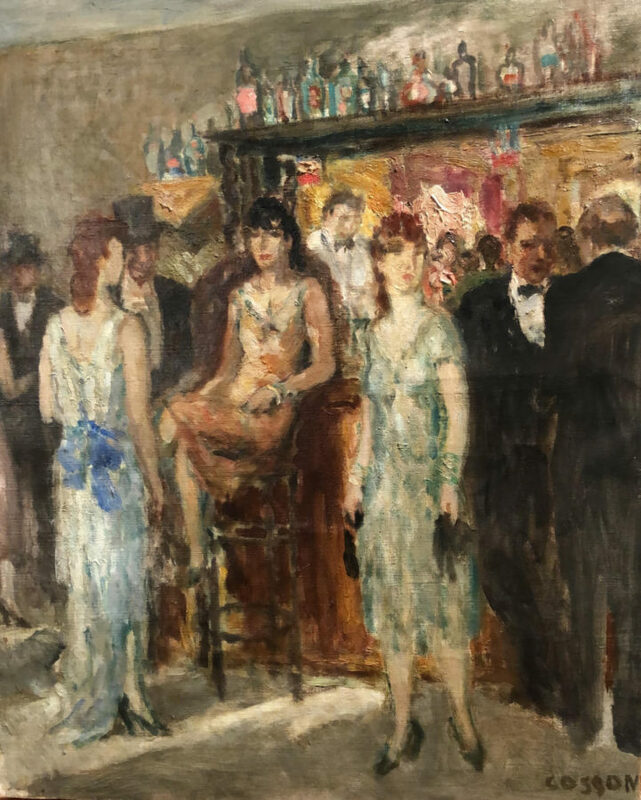 Jean-Louis-Marcel Cosson (French, 1878-1956), “At the Bar”, oil on canvas, signed lower right “Cosson”, 21-1/2″ x 18″. Framed. 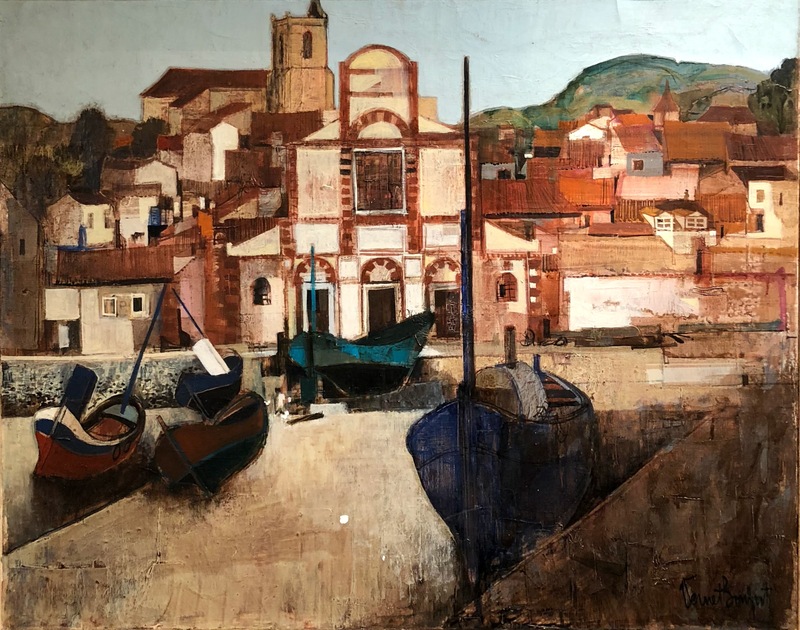 Provenance: The Flatt Collection. 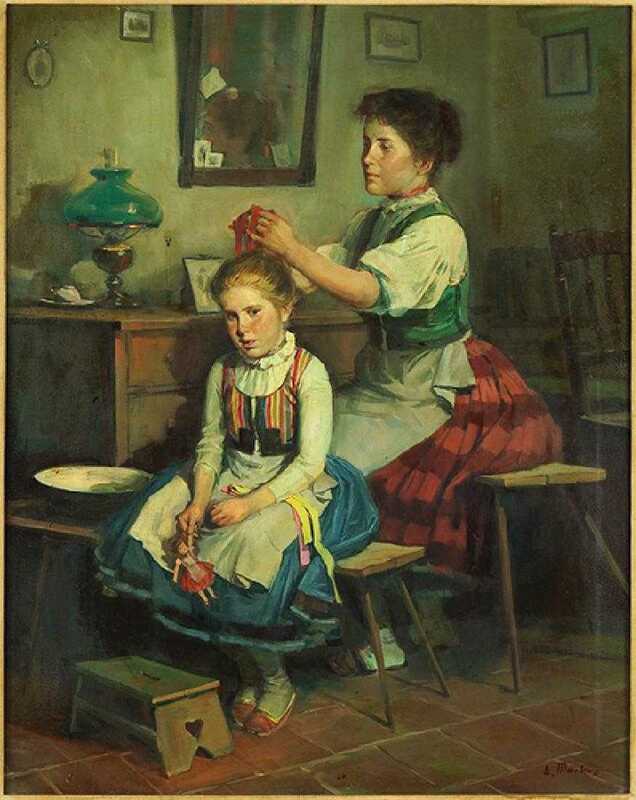 GEORGES ROSE (French. 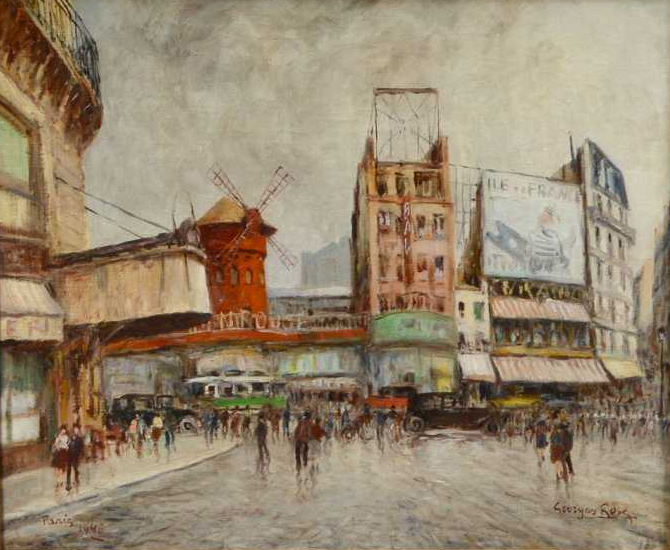 1895-1951) “Place Blanche”| Signed l/r. 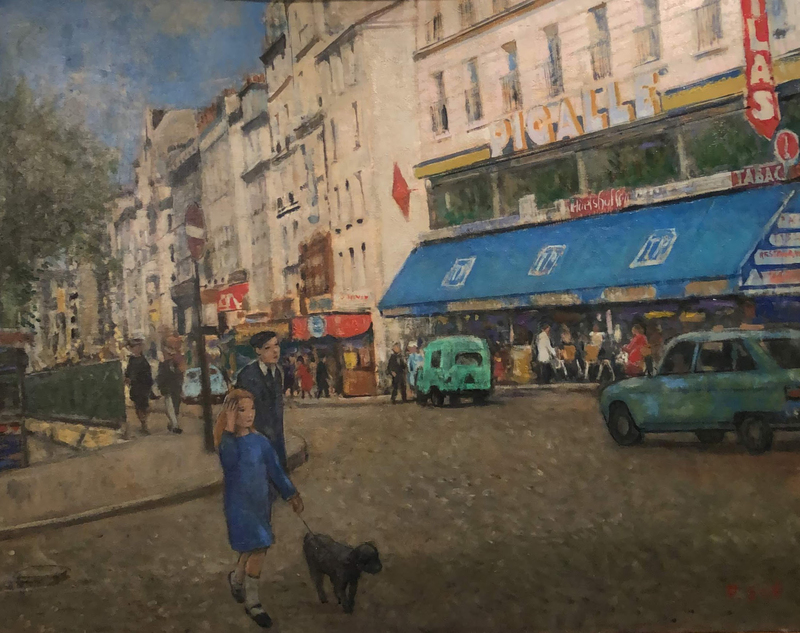 Dated 1946 and inscribed Paris |Verso titled, dated and signed | Oil on Canvas. 21″ x 25” | Framed with nameplate. 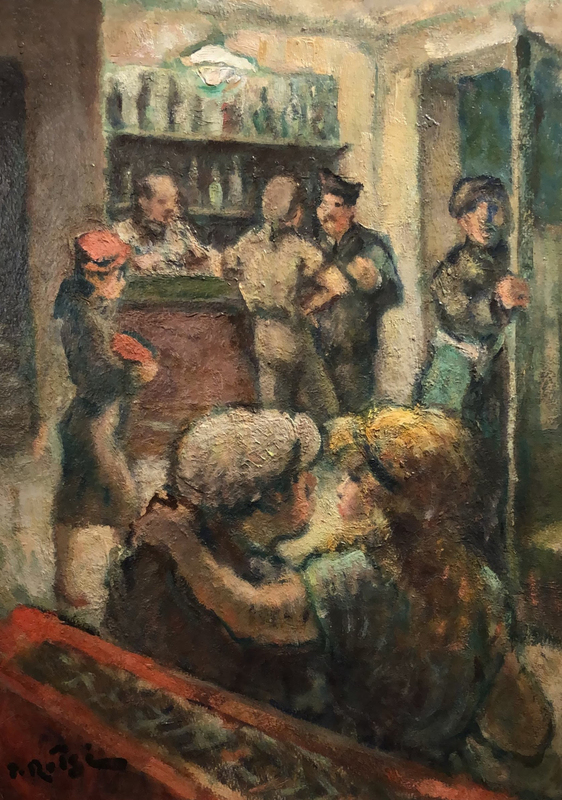 Francois Gall (French/Hungarian, 1912-1987), “Cafe Pigalle”, oil on canvas, signed lower right, signed, dated and with a “Robert Rice Gallery/Houston, TX” label en verso, 25-1/2″ x 32″.